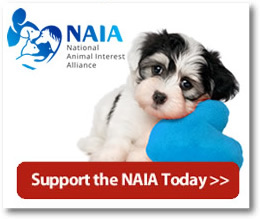 For the past decade and more, national and local animal organizations have blamed puppy producers for euthanasias in shelters and promoted sterilization as the only way to decrease shelter deaths. Slowly, over the past five or six years, university studies have put forth a different picture: it's not the puppies, they say, it's the adult dogs that are picked up as strays or surrendered by owners that populate shelters and die for lack of a home. With few exceptions, however, the news has not translated into innovative strategies to educate potential dog owners before they buy or fail to train. There are no excuses now. Bob Christiansen, a California writer, dog trainer, and former shelter director, has written a book that lays it on the line: while spay and neuter programs have dramatically reduced shelter euthanasias, it is time for other tactics to take center stage. Christiansen's other tactics include community coalitions between dog clubs, shelters, and veterinarians; low-cost identification programs to help re-unite strays with their families; progressive marketing of adoptable dogs; education programs for potential owners; counseling for owners with problem dogs; multiple housing for dogs to reduce shelter stress; and remodeled shelters that provide a bright, cheerful showcase for adoptable animals. The book opens with a brief profile of the animal welfare movement in the US from the 1860s to the present, then sets about defining and offering solutions for current animal shelter problems. Christiansen wrote that the dog population has increased from 30 million animals in 1970 to 52 million animals in 1996 but the number euthanized has declined substantially to about 2.5 million animals, a decline he credits to massive education about pet sterilization. He then wrote: "The overwhelming majority of the dogs killed are not puppies (as would be the case if there were true dog overpopulation) but young adults that were once owned." develop identification programs so that lost dogs get back home. dog is noisy, destructive, or soils the house. Dogs that stayed in their homes were more expensive to purchase, attended obedience classes, had regular veterinary care, spent part of the day inside, were neutered or spayed, and were housetrained and relatively quiet. Purebred dogs were more likely to remain in their homes, leaving shelter populations at 75-80 percent mixed breeds. These factors, especially obedience training and veterinary care, give clues to intervention, clues that the writer turned into suggestions throughout the book. Christiansen harshly criticized national groups and shelters that blame owners and breeders instead of reaching out to veterinarians, breeders, kennel clubs, training clubs, groomers, and others who can be allies in the battle to reduce killing. However, he balanced his censure with page after page of constructive ideas for change, ideas that can be implemented in communities, regions, and whole states. "Our current public dog identification system is a major failure and results in millions of dogs being killed every year," Christiansen wrote. "In California, close to 75 percent of all dogs that enter animal control shelters are strays. An effective identification system would cut the canine kill rate in half." In addition, reclamation of impounded cats sits at less than five percent. Although many states require that dogs be licensed, only about one third of owners comply. As a result, fewer than 15 percent of stray dogs are returned to their owners. To increase chances that a lost dog or cat will get back home, Save Our Strays recommends low-cost community microchip identification programs with regional and national databases accessible to shelters, veterinarians, and the public. More than 80 percent of potential dog owners are looking for a puppy, placing a burden on shelters and rescues to market adult dogs to people who think that old dogs can't learn new tricks. Save Our Strays presents marketing strategies and, since a good match between buyer and puppy is likely to keep the dog in its home for life, promotes community networks to help people find puppies as well. These networks should keep lists of responsible breeders as well as available dogs from rescues and shelters so that people can be directed to a dog that will meet their requirements. Humane societies should work with veterinarians to spay and neuter every animal before adoption; work with local training clubs and trainers as well as operate their own training centers; and focus community attention on adoptions with mobile and satellite adoption centers, Christiansen wrote. Animal control agencies should work with rescues and humane societies to give dogs a better chance for adoption. If the three-day or five-day holding period is up, agencies should transfer dogs to non-profit societies for adoption marketing. Humane societies and animal control agencies should work together to define the dog problem in their region. Christiansen noted that few communities have gathered statistics, interviewed pet owners, or determined the effectiveness of current programs, and that lack of information leads to failed efforts to reduce the killing. Save Our Strays promotes low-cost pet sterilization programs - including mobile clinics - for pet owners and insists that shelters should not release intact dogs. Noting that as many as 20 percent of the dogs adopted from one shelter produced litters, Christiansen said that voucher programs do not work, even if mandated by law. "These laws are not effective as many people forego the deposit and pets go unaltered despite the financial incentive. Shelters keep the money. What does that accomplish?" he wrote. "Professional animal shelters spay or neuter animals before they leave the shelter." "A misconception among those who believe that sterilization alone would decrease euthanasia rates was that 'unwanted' births resulted in pups and kittens flooding into shelters. Most animals in shelters are not, in fact, young pups and kittens, but rather 'adolescents,' approximately six to 18 months old, which have outgrown their cuteness and are manifesting minor behavioral problems their owners have neither the skills nor the patience to resolve," Christiansen wrote. Save Our Strays recommends programs - low-cost if necessary - to keep pets in their homes, first by finding out why people want to relinquish the dog and then providing a spectrum of resources that will help these owners understand and train their dogs and help new owners prevent behavior problems. Christiansen exonerated responsible purebred breeders and the American Kennel Club from blame for shelter deaths but recommended that communities curtail backyard breeding through education programs and a referral service that prospective buyers can use when searching for a responsible breeder. Save Our Strays separates breeders into several categories: hobby breeders and exhibitors; commercial breeders, "just one litter" breeders, and puppy mills and describes each one. Christiansen devoted a considerable amount of space to hobby breeders and exhibitors because "The problem is not responsible breeders. The nation needs more certified, responsible breeders. The problem stems mainly from accidental breeders and amateur, backyard charlatans out to make a quick buck on the sale of puppies." Save Our Strays notes that cat and dog population problems differ in both degree and kind. "Just as cats are different from dogs, surplus cat dynamics are substantially different from surplus dog dynamics. Most areas in the nation are experiencing a critical cat overpopulation problem," Christiansen wrote. (See Anna Sadler's article "Cats: There oughta be a law ..." on page 11.) Cats find people. Strays take up residence under porches, in garages, and in the hearts of new owners. Most cats spend their lives alternating between indoors and outdoors. Although the great majority - nearly 90 percent in some areas - of owned female cats are spayed, 15-20 percent are allowed to produce a litter or two prior to sterilization. More than half of kittens obtained by households are from a feral cat population, and only about three percent of all owned cats are pedigreed. Cats are relinquished by owners for reasons similar to those for dog surrender: moving, landlord doesn't allow pets, too many animals in household, cost of maintenance, personal problems of owner, inadequate facilities, no homes available for litters, allergies in family, house soiling, and incompatibility with other pets. Christiansen wrote that, far from protecting cats, cat licensing laws could spell doom for millions of feral or stray cats because these laws penalize the people who care for stray cats and thus make it more difficult for them to continue their cat welfare work. On the other hand, community sterilization programs for feral cats and encouragement of cat colony caretakers can help reduce deaths, he said. He praised the efforts of the Cat Fanciers Association to both define the cat population problems and educate the public on responsible cat care. A must-read for anyone interested in reducing shelter deaths, Save Our Strays is well-researched with more than 50 references, including a 1993 article in the Journal of the American Veterinary Medical Association by NAIA national director Patti Strand. Many of the solutions depend on legislation and regulations and call for an influx of government and private money: mandatory pet identification programs, testing and training for prospective pet owners, mandatory sterilization of pups sold in pet stores, elimination of backyard breeders, and certification of responsible breeders. But the book also calls for existing community resources to be rearranged to focus on reducing kills rather than getting bogged down in political and turf wars or misunderstandings - an example of out-of-the-box thinking necessary to save animal lives.